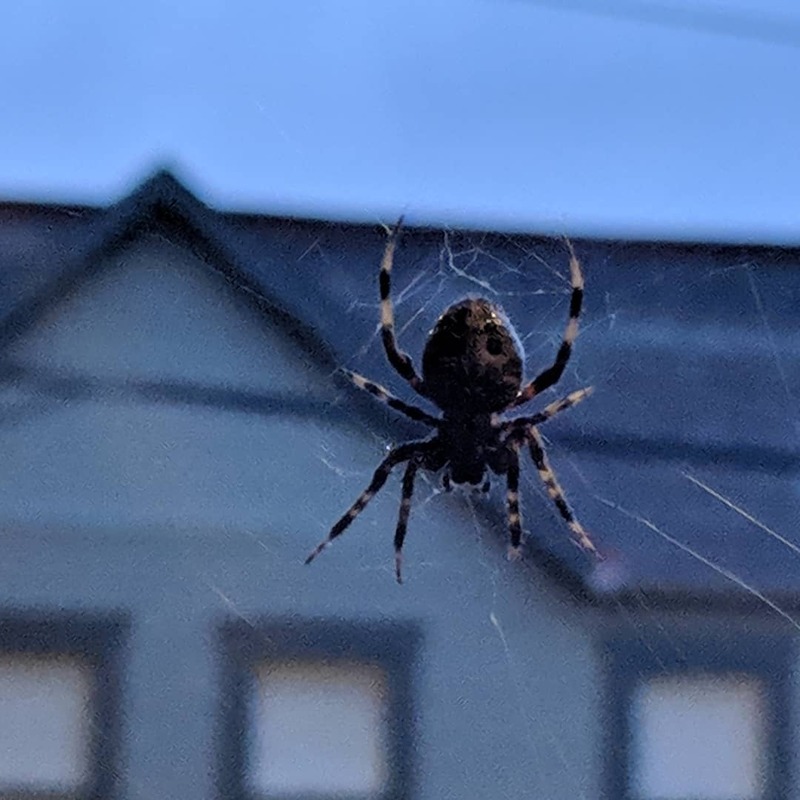 Hi, she was an orbweaver spider, I can’t see her markings well enough to give a you a particular species. The genus might be Neoscona due to her abdominal shape and fuzziness. Your spider is in a position that is characteristic of orb web spiders- she has her head toward the ground while at rest. These are great spiders to have in your yard or garden. They eat the big insects like beetles and grasshoppers.